Also please pm me if you own the pattern and did not get an updated PDF. 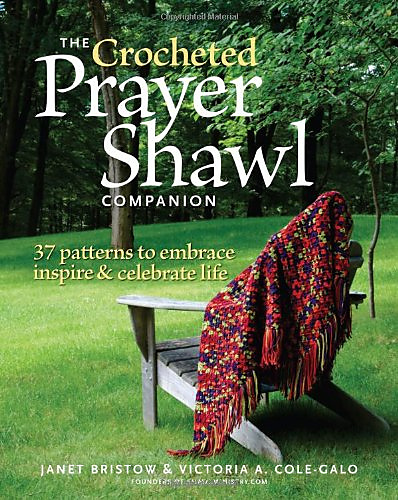 Now available as a single pattern, great if you don’t have the book! 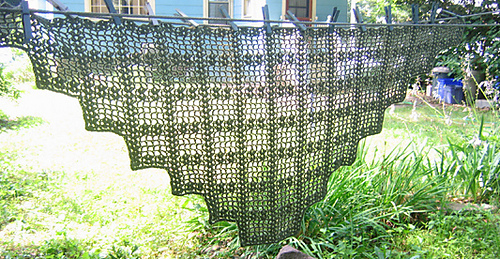 As the title says, this shawl is made one stepped section at a time. 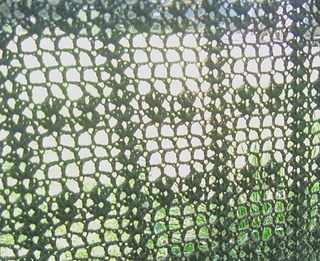 The foundation chain is at the bottom of the shawl and two pattern blocks wide. Adding chains at the beginning and the end of the row once per repeat adds width and height. 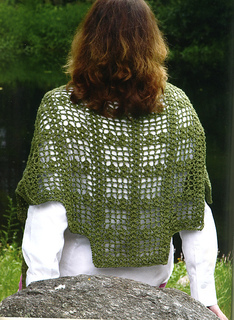 The stairstep edges are an unusual variation on a traditional triangular shawl shape. New, bright photos use one skein Shawl in a Ball from Lion Brand, but eliminates the final pattern repeat so you have six “steps” instead of seven. Because the yarn is a little larger than the original the finished size came out the same, but obviously the gauge was not the same. At the start of Row 6, you ch 18 (as specified), work across the top of the Row 5 as directed, then ch 20 and turn. You wind up with a long chain on either side of the row.